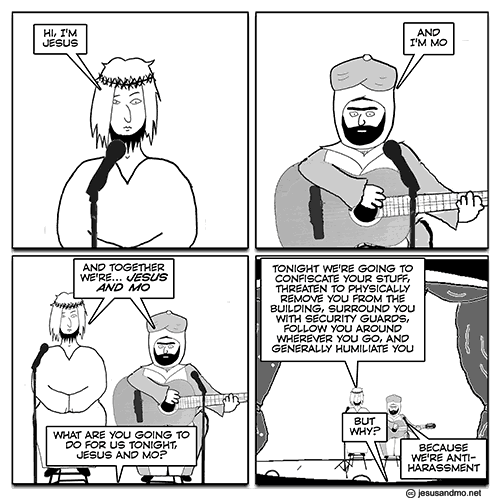 The fifth collection of the famous Jesus & Mo web comic. 140 strips, from "shins" to "issue"
The hilarious webcomic that has been known to recieve death threats from around the world is available in book format. 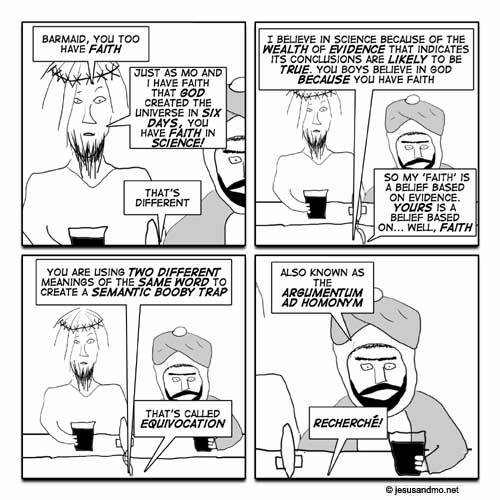 Jesus and Mo have frank discussions on religion and often debate who is more correct. 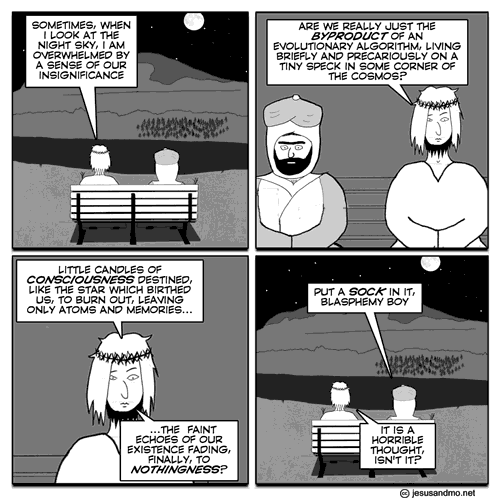 Jesus and Mo discuss the sense of awe inspired by the night sky and the stars which birthed us all and other blasphemy. Barmaid you have faith too! They sure do like to pick on poor barmaid. Members of the London School of Economics Atheist, Secularist and Humanist Student Society were ordered to cover-up their Jesus and Mo T-shirts at the Students' Union Freshers' Fair in October 2013. A new comic was published in response. [above] In December, the University apologised for the incident. 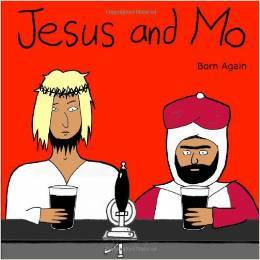 Muslim Liberal Democrat politician Maajid Nawaz tweeted a picture of one of the Jesus and Mo T-shirts, after the cartoons came up in a discussion on a BBC programme The Big Questions. 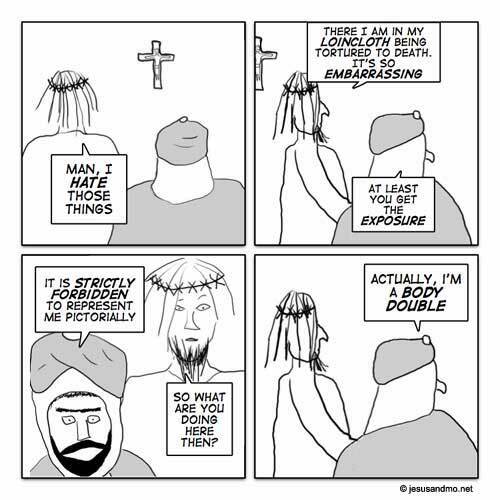 On the programme, the production team stopped participants from being shown wearing T shirts, one of which depicted Jesus saying "Hey" and the other Muhammad saying "How ya doing?". The BBC had feared a hostile response from some Muslims. On Twitter, he later wrote that he did not find the T-shirts offensive, but then received death threats for this stance.